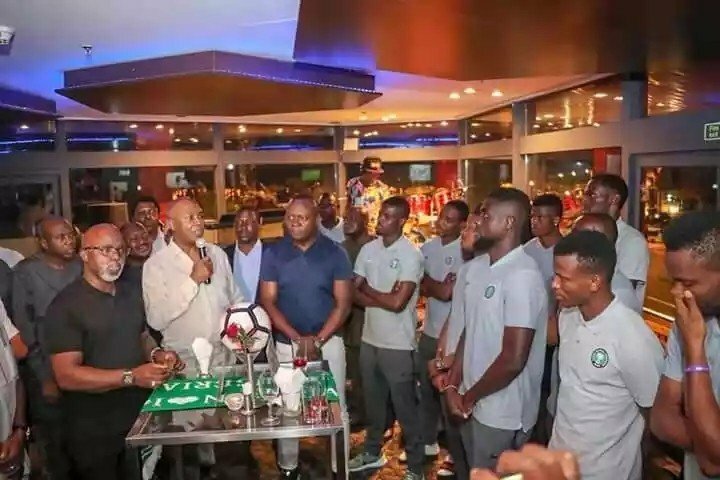 The Senate President of Nigeria, Bukola Saraki has met with the Super Eagles team ahead of their friendly match against England. 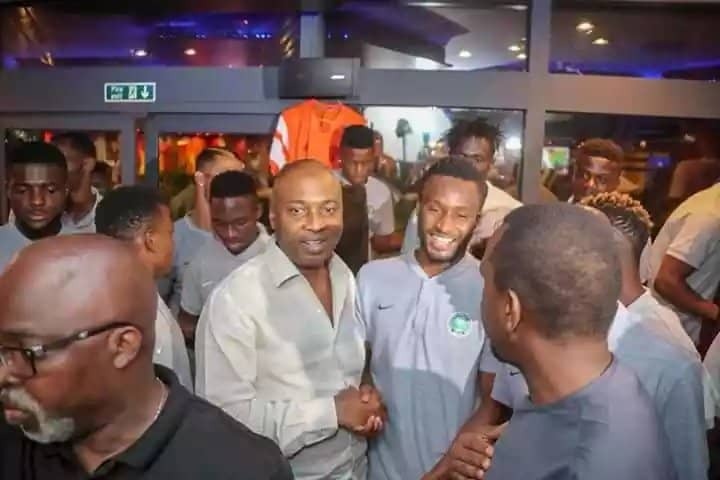 “Ahead of their upcoming friendly match against England this weekend, I paid the Nigerian Super Eagles a surprise visit and wished them all the best — and even greater success in the upcoming #Russia2018 World Cup”. 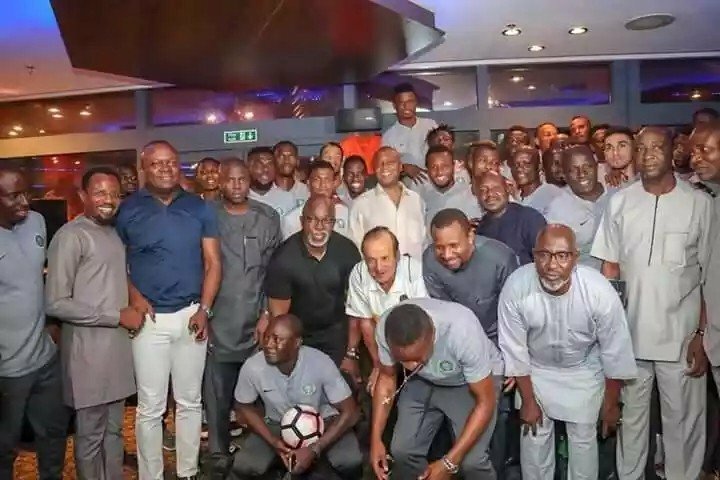 The Super Eagles team will also be meeting with President Buhari in Abuja today ahead of the world cup tournament in Russia. The Minister of Sports, Solomon Dalung, will present the team to Buhari few hours before they travel to London aboard a chartered aircraft for their friendly game against England at Wembley Stadium on Saturday. After the game at the Wembley stadium, the team will fly into Bad Tatzmannsdorf, a city in Austria where they will spend eight days at Avita Resort before flying to Russia. During their stay in Australia, the team will play a friendly against the Czech Republic at the Rudolf Tonn Stadium (just outside Vienna) on Wednesday next week.